When designing a new vehicle, a manufacturer’s designers and engineers try to take into account everything they think that customers would want in the vehicle. This can be tricky to balance, and sometimes certain features or stylings have to be ditched for more practical purposes. 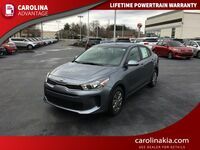 However, we here at Carolina Kia are lucky to sell a vehicle where no benefits or features had to be sacrificed. We are, of course, talking about the 2015 Kia Rio in High Point NC. 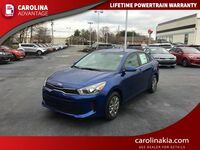 What is so great about the 2015 Kia Rio is that, despite being a subcompact car, it still has an open, spacious interior that will comfortably seat five. This is mostly thanks to the width of the vehicle being over 67-inches, which gives more hiproom than most passengers would expect. 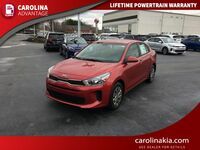 Additionally, the 88.4 cubic-feet of passenger volume speaks even more to how much room passengers will actually have in the 2015 Kia Rio in High Point NC. 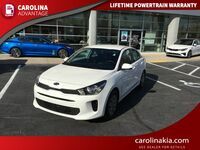 Interested in a 2015 Kia Rio? Another great aspect of the 2015 Kia Rio in High Point NC is the sport exterior that it has. 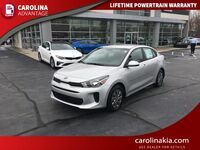 With its cutting edge, aerodynamic lines and the sport facade in the front, the 2015 Kia Rio looks every bit as good as what you would expect from a subcompact car. The 2015 model of the Rio also features several great exterior features to make the overall driving experience even better. These include options like a power sunroof, power folding outside mirrors, LED positioning lights, and turn-signal indicators on the outside mirrors. All of this to give you a safer, better ride. 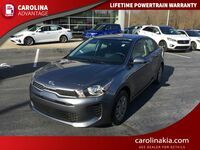 Under the hood of the 2015 Kia Rio in High Point NC, drivers will find a small, but sporty 1.6-liter GDI 4-cylinder engine. This efficient motor is capable of pushing out up to 138-horsepower and 123 pound-feet of torque, while also getting up to 37-mpg on the highway and 27-mpg in the city. This vehicle provides drivers with the perfect combination of performance and efficiency. The vehicle is available with either a 6-speed manual transmission or with an electronically controlled 6-speed automatic. To make the vehicle even more exhilarating, a sport-tuned suspension is available, as well as paddle shifter mounted to the car’s steering wheel.